Struggling with HIPAA compliance or searching for HIPAA Training Videos? Your passion is to help people stay healthy and enjoy life. But now, you face the threat of knowing every nuance of every HIPAA law. Add to that, the increasing monetary penalties and even criminal convictions and suddenly you’re getting more stress out of your job than joy. Veterans Press is your source for HIPAA Compliance. We’re helping health care professionals just like you become HIPAA Compliant. For nearly two decades, Veterans Press has been the nation’s leading authority in Healthcare law. At Veterans Press our business is to make your business HIPAA compliant. 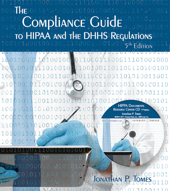 Get the HIPAA Compliance Library today. We’ve compiled our decades of experience into one simple all-inclusive HIPAA Compliance library. This library consist of HIPAA compliance books, manuals, guides, and a HIPAA training video with a workbook and test to keep in your employees file to meet annual HIPAA certification training. 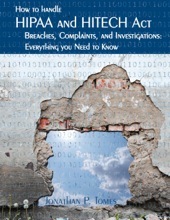 Everything you need to know and do to become HIPAA Compliant. Basic HIPAA Training Video, 6th ed. 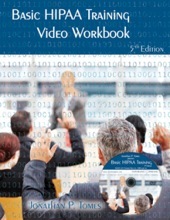 Basic HIPAA Training Workbook, 6th ed. A recent announcement by the Dental Board of California has reinforced the notion that having a breach of security, such as a hacker’s gaining access read more..
UCLA Health recently settled a class action lawsuit against it for $7.5 million. The plaintiffs were victims of a hack attack on UCLA’s network that read more..
Advanced Care Hospitalists PL (“ACH”) recently settled a Department of Health and Human Services (“DHHS”) Office for Civil Rights (“OCR”) enforcement action for $500,000 for read more..